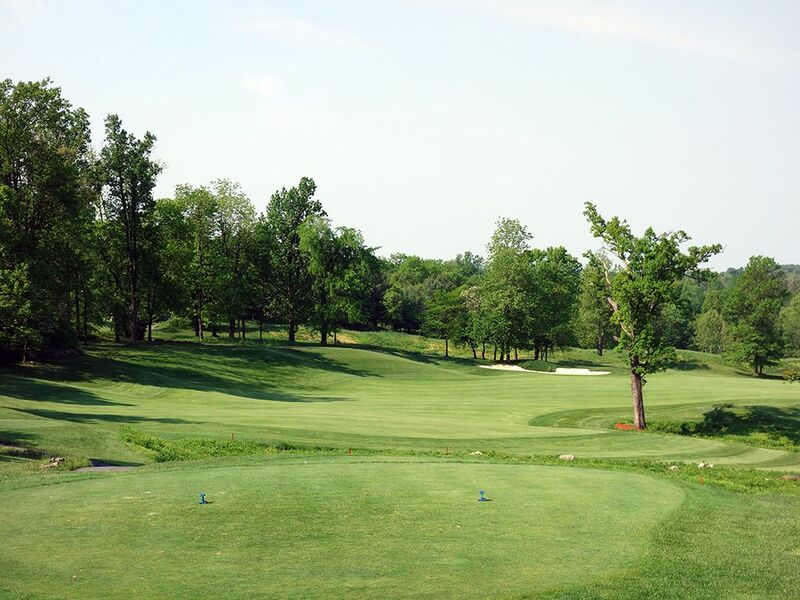 Course Website: Official Website - Visit Whiskey Creek Golf Club's official website by clicking on the link provided. 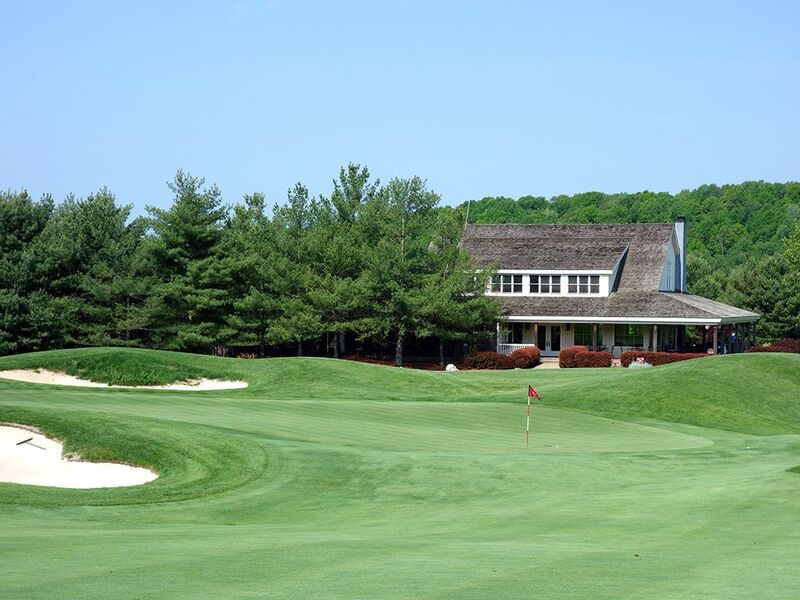 Accolades: Ranked 3rd in Maryland on Golf Course Gurus' Best in State list. What to Expect: The name J. Michael Poellot may not mean much to non-golf architecture nerds, but the name Ernie Els carries quite a bit of clout and these two teamed up to create the beautiful Whiskey Creek golf course. 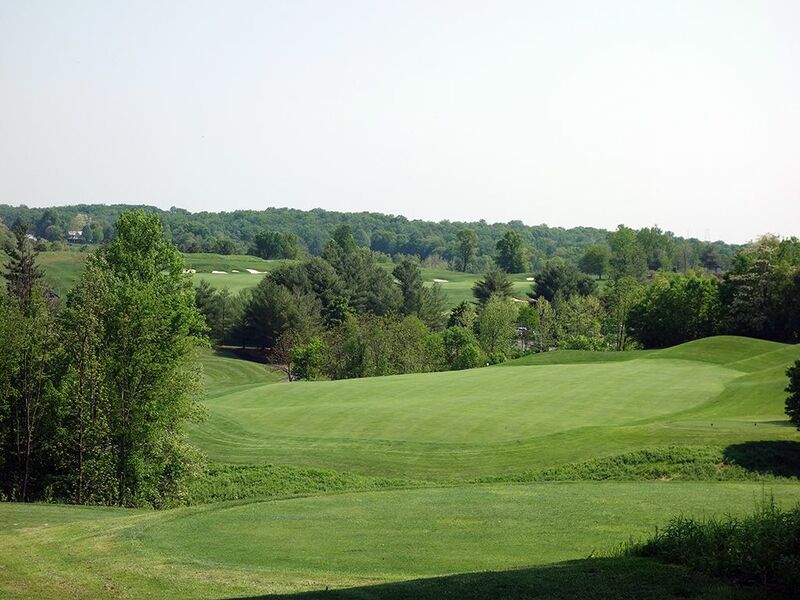 Located on the outskirts north of Washington D.C. and west of Baltimore, Whiskey Creek feels like a private golf course but instead stands as one of the finest public offerings in Maryland or in any of the neighboring states. 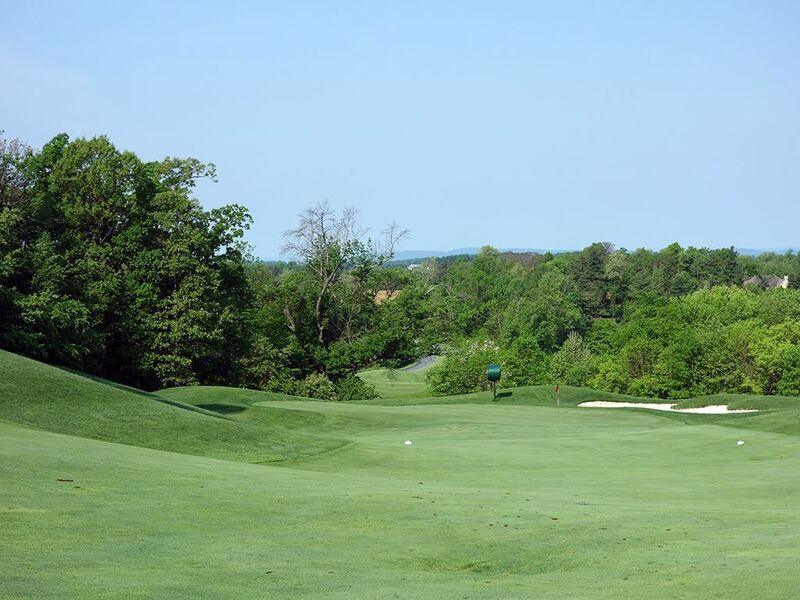 The course is kept in great shape as players get to enjoy the high class bentgrass surface on the tees, greens, and fairways where the only excuse for a bad shot is your execution of it. The terrain is fantastic throughout the course with several elevation changes both subtle and severe to contend with and bring character to the hole designs. 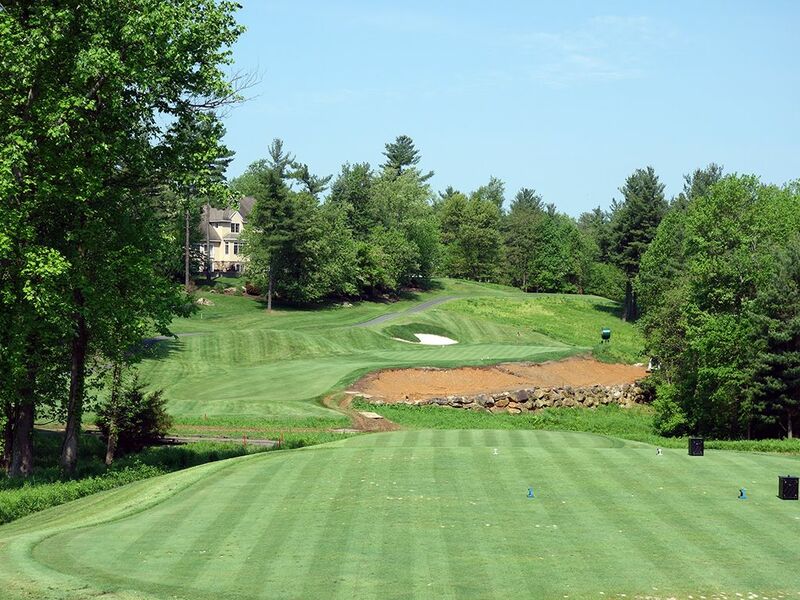 An impressive blend of risk/reward, shot making, and strategy is infused throughout the golf course and is equally enjoyable in a stroke or match play competition. 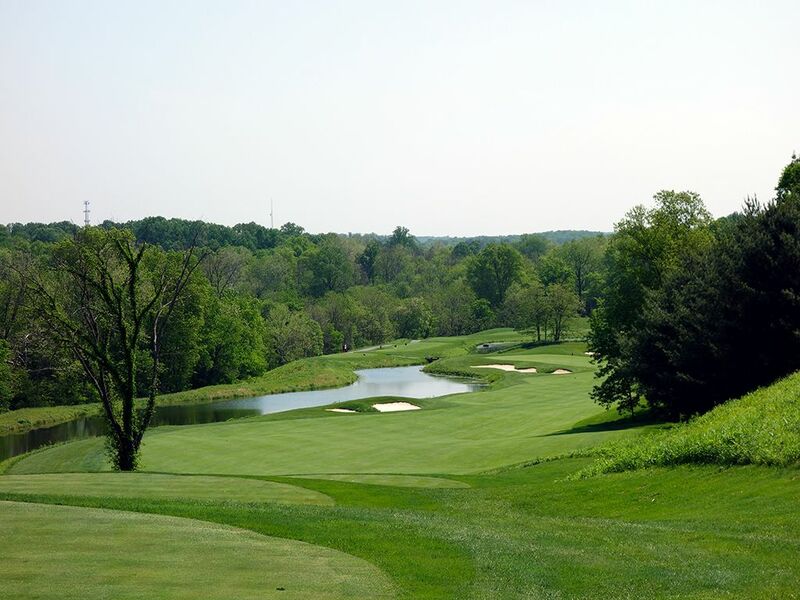 The variety of hole lengths, shapes, and shots is perhaps the course's greatest strength combined with a beautiful piece of property that feels secluded from the everyday world. 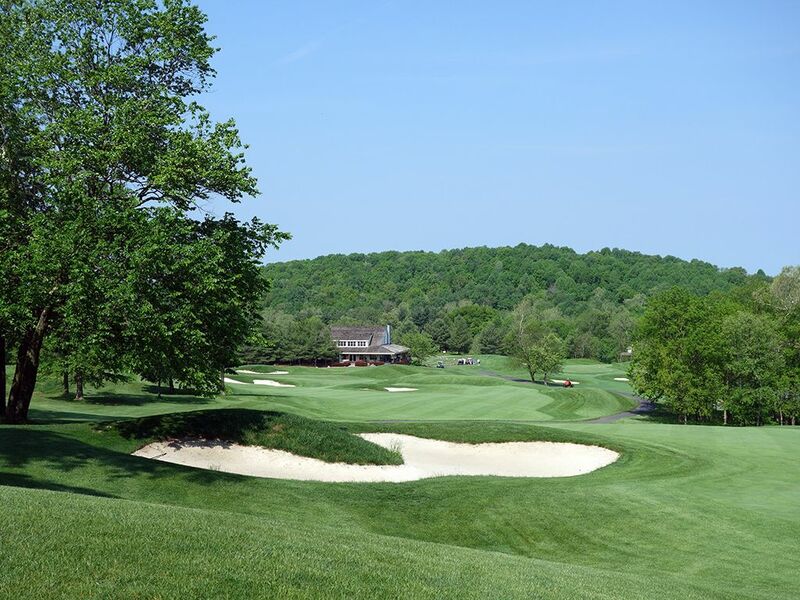 The hole that everyone will remember at Whiskey Creek is the downhill par five finisher that is not only loaded with fun and strategy, but features the relics of an old farmhouse in the middle of the fairway to contend with and pays homage to the roots of the property. Opportunities to play Ernie Els' designed courses in the United States are rare, but those that make the effort to play Whiskey Creek will be glad they did. 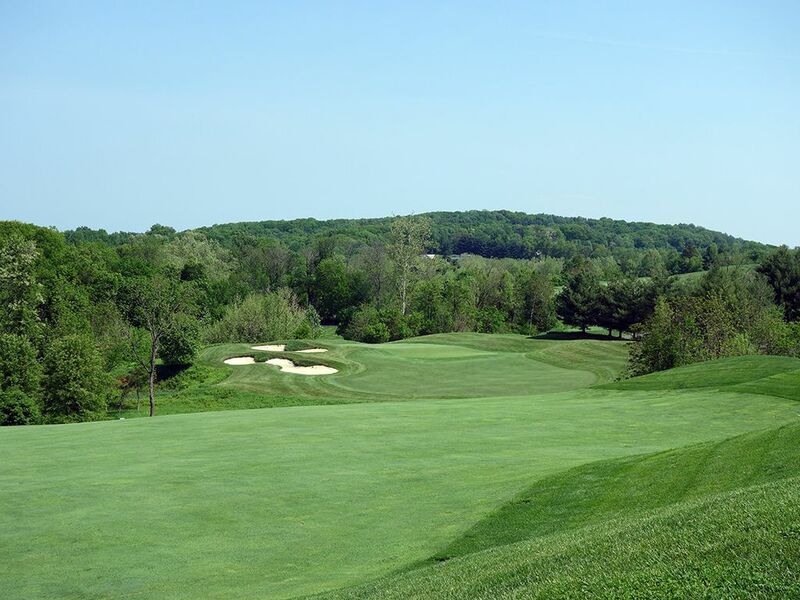 Carts are included in the green fees and are recommended for the vast majority of players considering the challenging walk the multiple hills create. 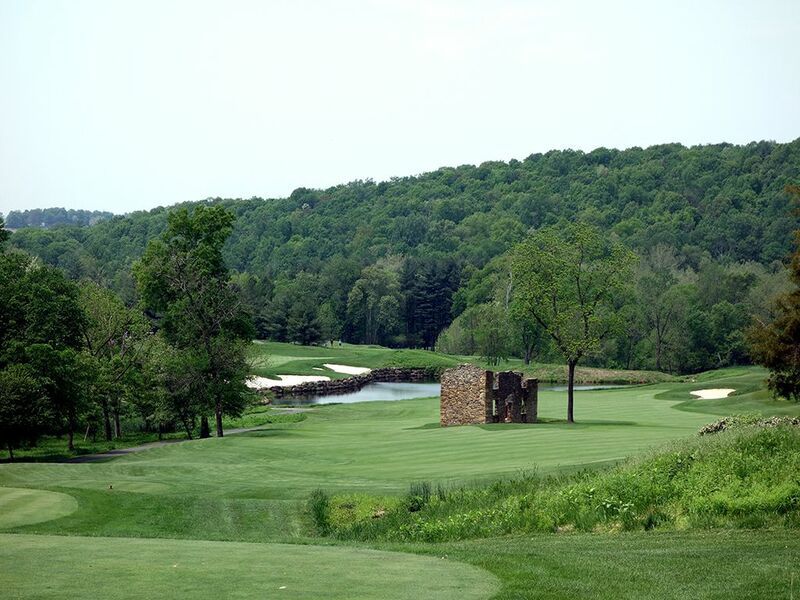 Signature Hole: 18th Hole – 547 Yard Par 5 – Without question the hole you will remember most at Whiskey Creek is the final offering; a downhill par five that doglegs around an old farmhouse relic before playing over a pond to a well protected green. Off the tee players have to decide if the want to go down the left side of the fairway and set up an opportunity to attack the green in two or whether to go down the safer right side and take three shots before finding the green. 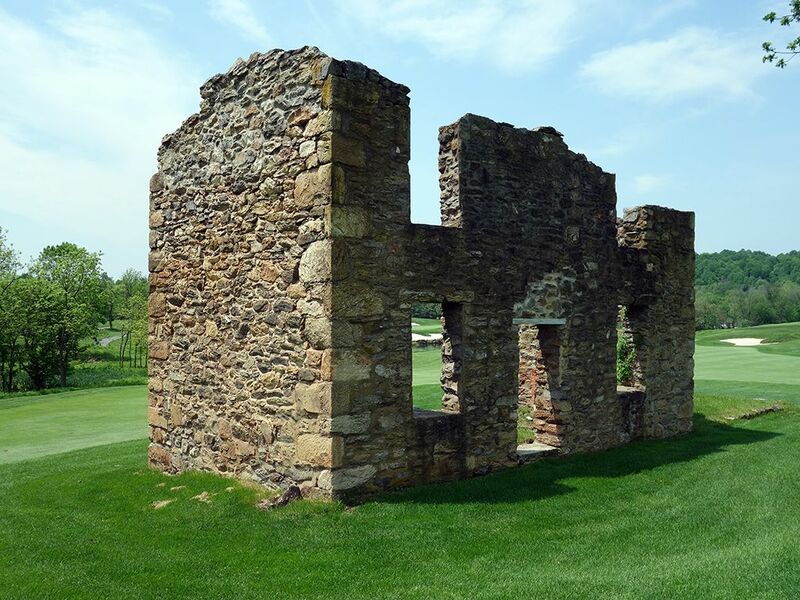 A 275 yard drive right down the middle could find you sitting smack dab next to one of the chimney stack towering out of the relic house, so you need to pick a side to drive down or stay well short of it. 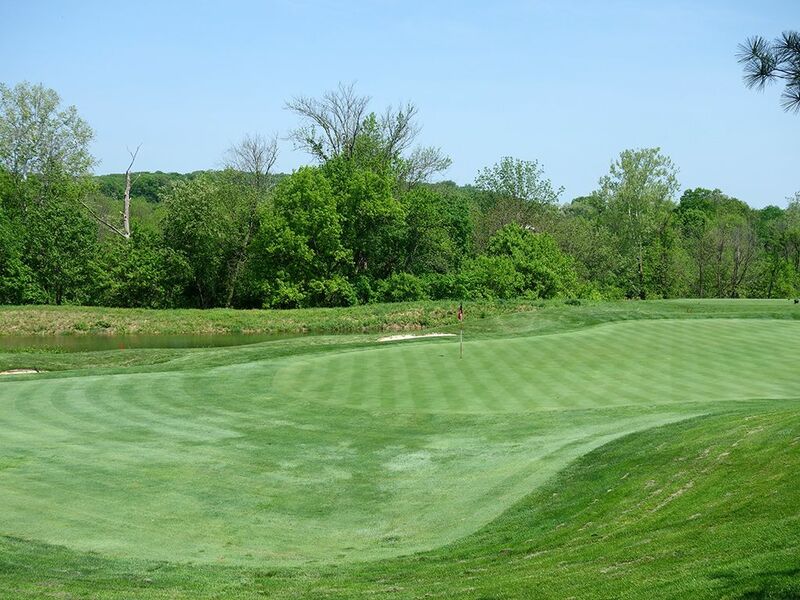 If going for the green in two, the play is a baby fade that stays over dry ground before cutting towards the putting surface that is flanked by water on the right. The kidney shaped green features bunkers in the front and rear, so accuracy will be at a premium when going after the flag. It is simply a fantastic hole that features risk/reward options, strategy, and memorability; a great way to close the round at Whiskey Creek. Best Par 4: 14th Hole – 427 Yards – Another elevated tee presents itself at the 14th and with it comes one of the best views on the course. Water runs the entire length of the hole on the left side with a fairway bunker sitting 275 yards out on that same line. Hitting your tee ball up the right side will avoid the trouble and set up the ideal approach so long as you don't go too far right and leave yourself with an approach shot from the heavy rough back to a green protected by bunkers and water. The right side of the green features the most generous opening to the putting surface which should encourage you again to stay up that side of the hole as much as possible. If you can stay focused enough to avoid the trouble on this hole then you can give yourself a good scoring opportunity on a hole that plays shorter than the card indicates. Best Par 5: 9th Hole – 545 Yards – The 18th may get all of the hype, but the closing hole on the front nine is a quality risk/reward par five as well. The bold play is over the tree and bunker protecting the corner of the dogleg right and will require at least 225 yards of air time to find safety. From there players going for the green in two will need to fly their ball over the center fairway bunker 75 yards from the putting surface while working their way into the right side of the green that is receptive to approaches on the ground or in the air. Tee shots up the left side needs to be weary of carrying too far and thus into the trees hugging the outside of the dogleg which will quickly eliminate any chance of reaching the green in under regulation. The fairway moves downhill for much of the hole so you should be able to get a few more yards out of your shots enroute to the flag, so err on the side of being bold and take an aggressive approach to this hole where birdie is a great possibility. 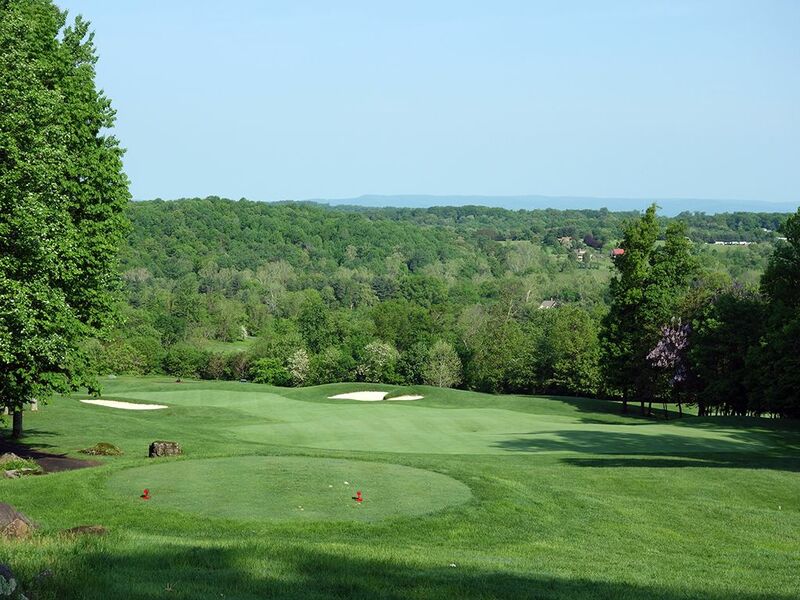 Birdie Time: 5th Hole – 402 Yard Par 4 – Take in the view! An impressive scene across the countryside and out to the mountains is afforded on this tee that sits 100 feet above the green. A bomb over the left fairway bunker will set players up nicely for a flip wedge shot into this green and a chance to stick it close to the hole. Even if you want to hit a tee shot short of the two fairway bunkers, you'll still be able to leave yourself less than 150 yards into the green and put a scoring club in your hand. 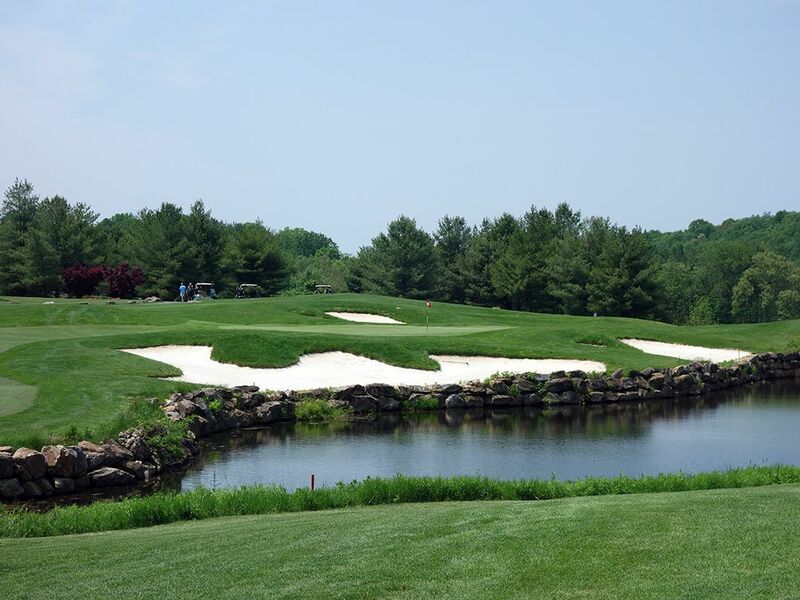 This hole is picturesque, fun, and you can score well; a great combo to enjoy. Bogey Beware: 12th Hole – 445 Yard Par 4 – The dramatic 12th is as demanding as the tee shot is inspiring. From an elevated tee players are asked to carry a ravine to a fairway that crests before tumbling downhill towards a marsh area. Tee shots over 300 yards will run out of room while those laying up will be faced with a stout approach shot over the wetlands to a green flanked by a pair of bunkers on the left. Missing the fairway right or left off the tee will generally mean having to layup on the approach and even finding the fairway can present a challenge if left with a downhill lie. This is a big boy hole, so have your big boy game ready if you are going to avoid a bogey.